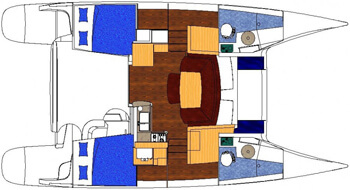 The Mahe 36 catamaran is the smallest yacht available in this region, however thanks to its well designed characteristics it will allow you to travel safely from Tortola to all the Virgin Islands, especially those that are more remote as Cooper Island, Ginger Island, Great Camanoe, Great Thatch. 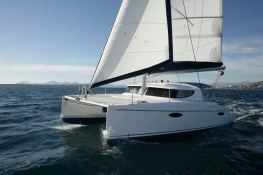 Located in British Virgin Islands, this bareboat catamaran Mahe 36 (2 double cabins), built in 2013 by Fountaine Pajot, is capable of hosting up to 4 passengers. 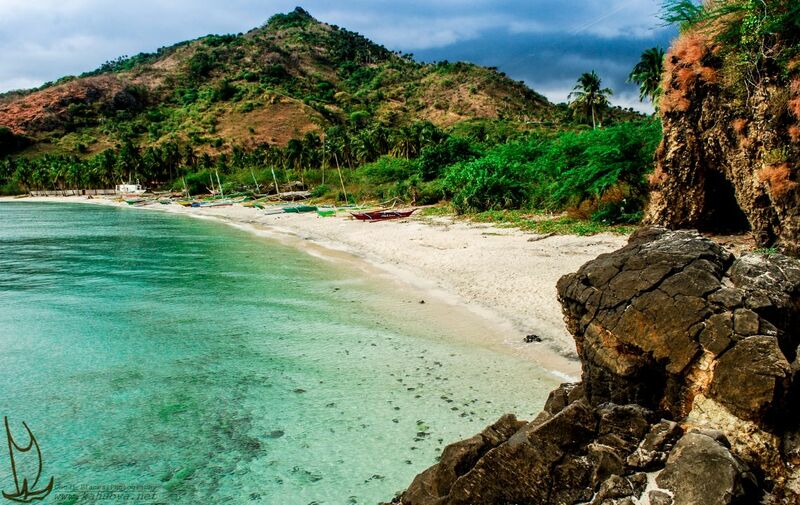 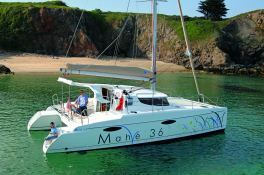 Further more, and for a complete bareboat catamaran charter journey, the Mahe 36 comes with BBQ and also CD. 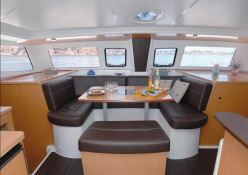 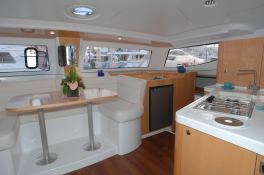 This catamaran is available for bareboat charter with a base price of 3 695 $ (approximatly 3 276 €).